What the Crackle effect does, is it essentially creates cracks and tears in the paint, revealing the color of the surface underneath. This is why priming your object in a color of your choice is absolutely mandatory. We recommend using Montana GOLD, and applying two nice coats of paint covering the object fully, before grabbing the Montana Crackle effect spray. 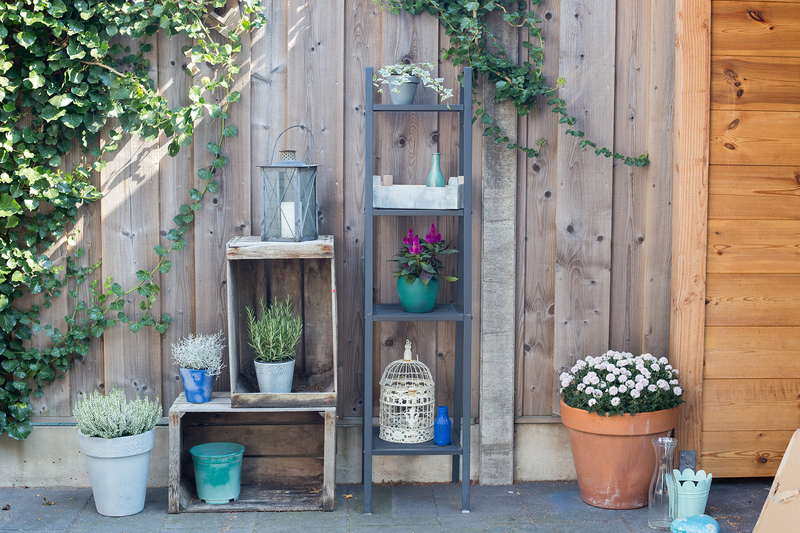 For instance, Jutta and Maike chose Montana GOLD SH9000 Black as a base coat on one of the flower pots. For a nice thick base layer, they applied two thin coats, and let them each dry for at least 45 minutes. Then they used the EC7000 Squirrel Grey from the Montana Crackle effect line and gave the pot a nice once-over. It’s important to apply the crackle paint in strokes from left to right, overlapping the strokes slightly to ensure a good coverage.